We stuck around for 30 minutes or so admiring the characters on that curbside park in Nakijin Village then proceeded on to the castle site. I hadn't been out to Nakijin-jo since 1988 so it was nice to be back. I have to admit that there was very little that looked familiar. That may be due to the passage of time or, perhaps more likely, the work that's been done since the '80s to make it a nice park. Video technology has surely come a long ways since 1988! Here's a comparison of the gun port screen shots. 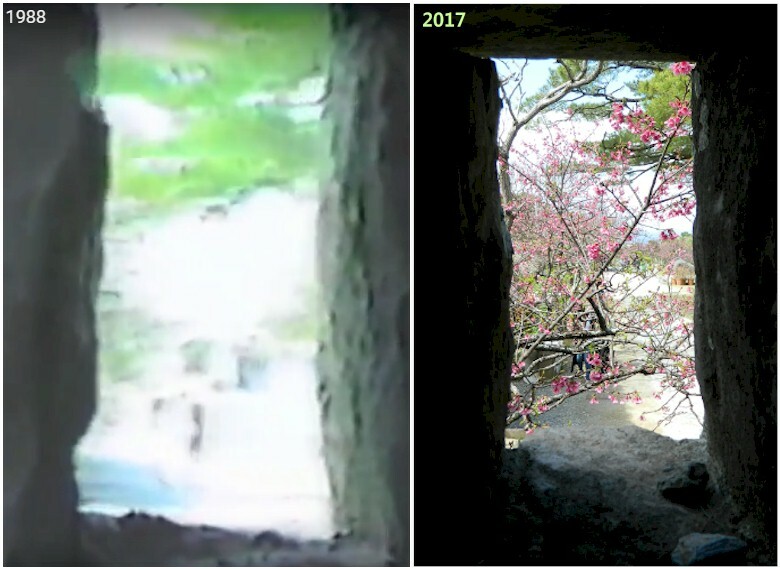 After 29 years those are probably the same cherry trees! With the exception of those ports it was like seeing Nakijin-jo for the first time and I really enjoyed the opportunity to take in the details. 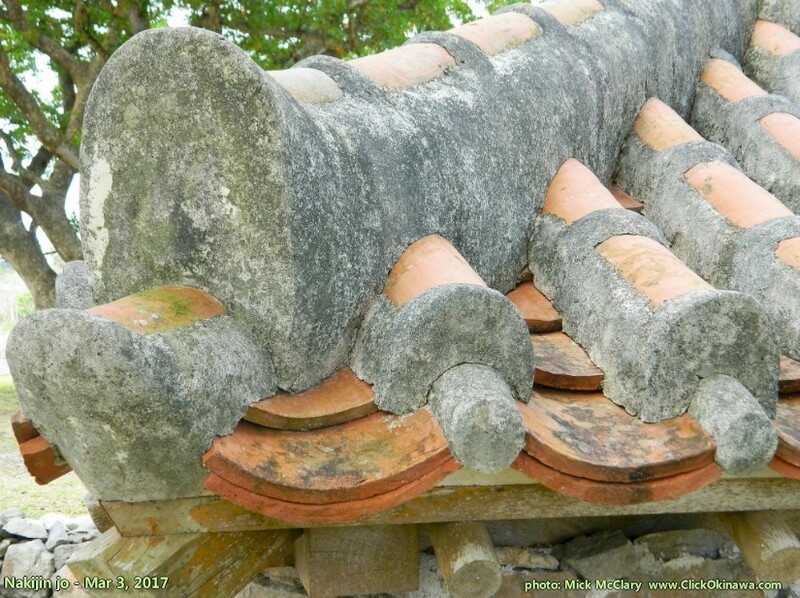 Nakijin Castle, or Nakijin Gusuku (Ryukyuan castle or fortress) is located in Nakijin Village, Okinawa, Japan. 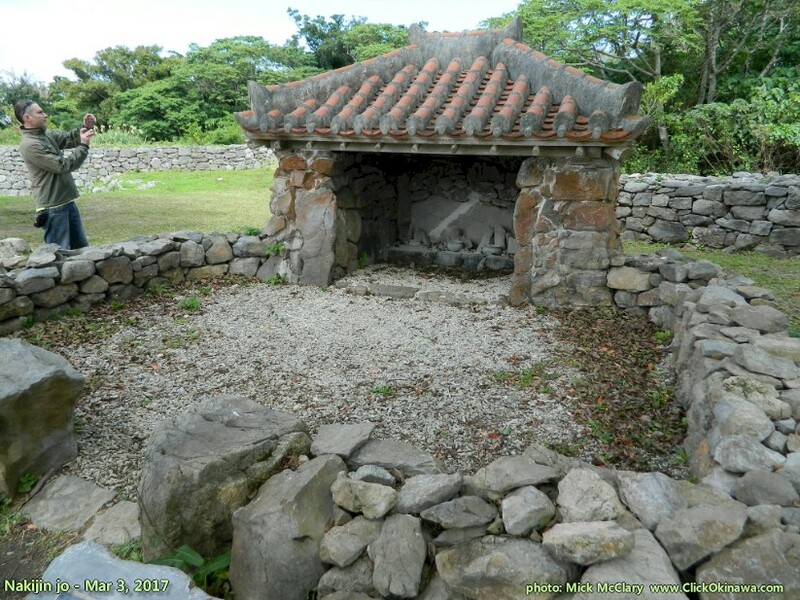 It was the residence of a Ryukyu Kingdom governor and is currently in ruins. Work began on its construction in the late 13th century and it had reached its final form by the beginning of the 15th century. 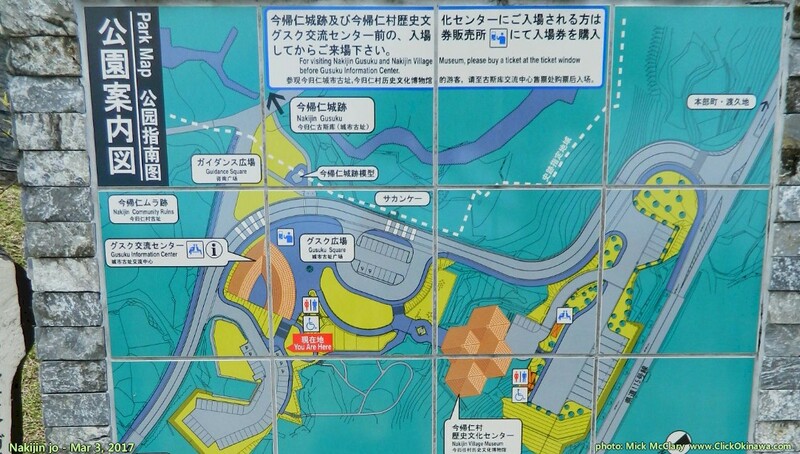 The castle is strategically sited on a lone hill, well defended by natural features (river, cliffs and deep valley). 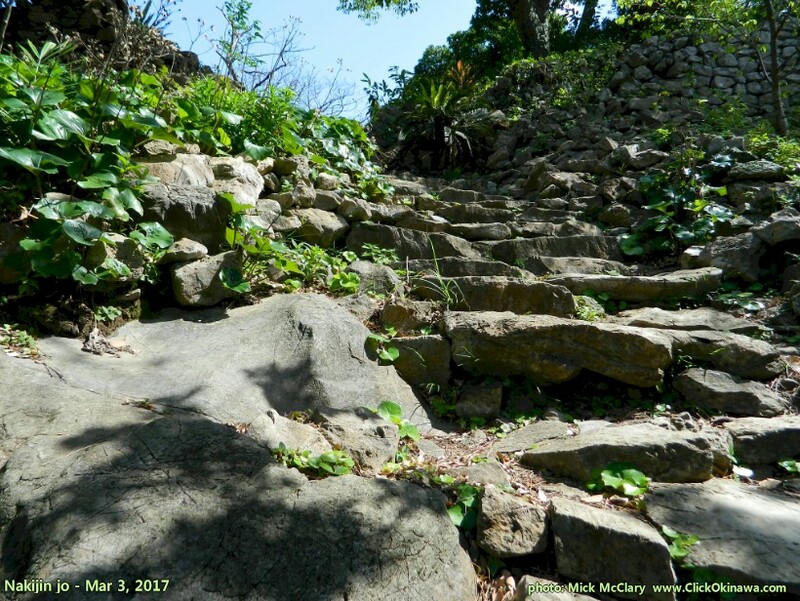 The fortress includes several sacred Utaki groves, reflecting the gusuku's role as a center of religious activity. 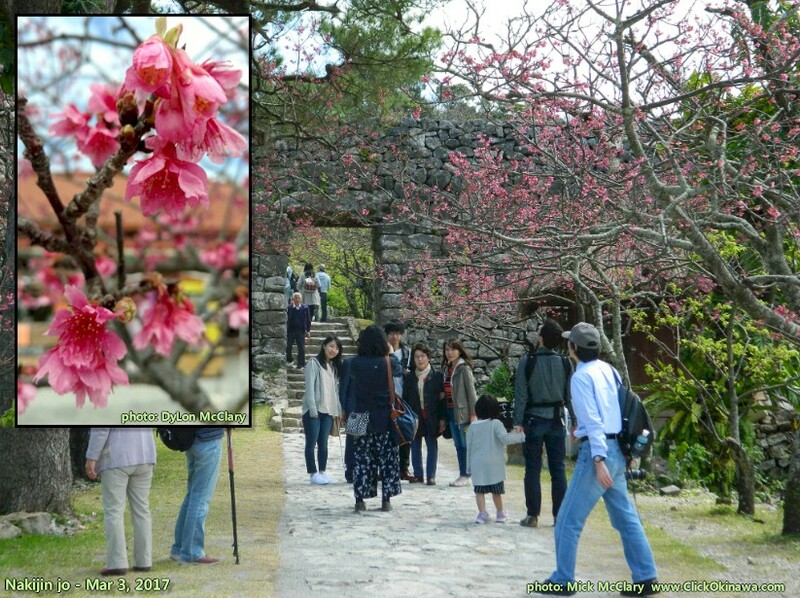 It is famous for the Hikan cherries which bloom in northern Okinawa between mid-January and early February. Those blooms are the first to show themselves in all of Japan! and the beautiful cherry blossoms. This would have looked so much better a month earlier! Turning forward into the fortification we walked along a tree-lined stone path leading into the kidan. path making it difficult for invaders to get to the castle. we found these walls to be constructed with stones set in haphazard and ill-fitting fashion. 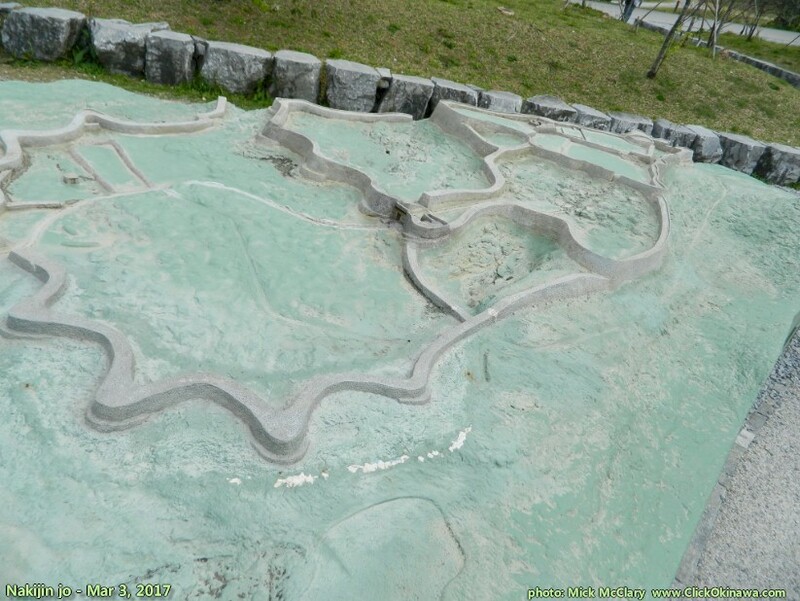 During the archaeological excavation which took place between 2007 and 2010, large-scale stone work remains called kidan were found. building and other components were unfortunately missing and thus the dimensions of the building are not known. Within the ten wards of the castle the ancillary facilities where kidan and other stone works are evident have many unknown properties. it is presumed that these buildings held important functions. 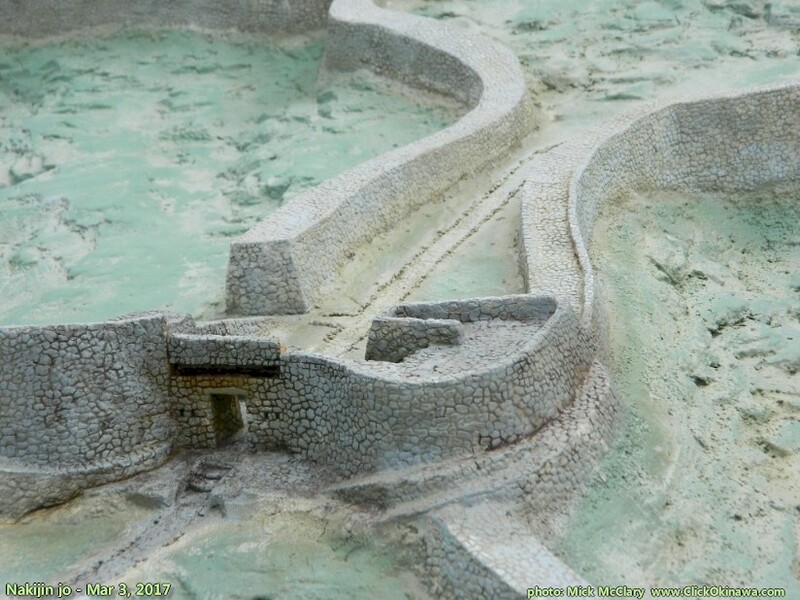 The building sites that were excavated are believed to be from around the 16th Century. A trace of a furnace was found along with ruins of an earth-fast post building. 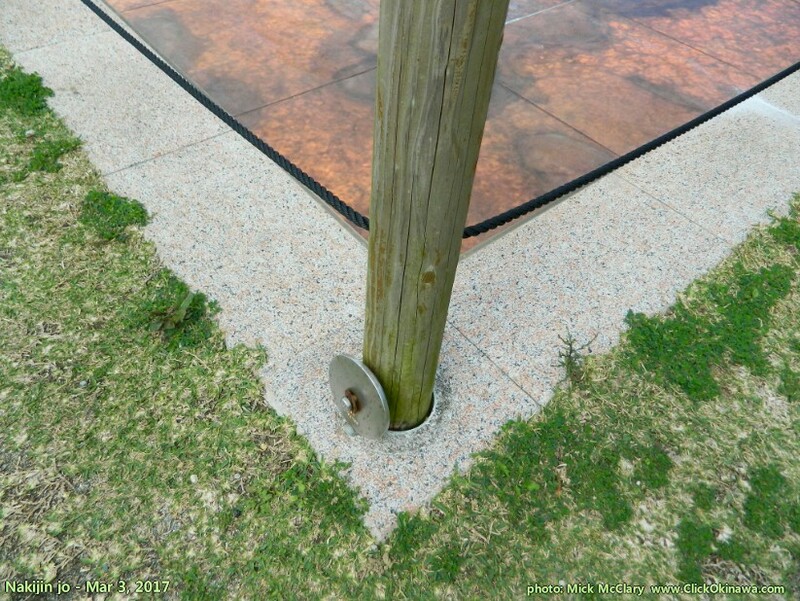 Six post holes are located around the trace of the furnace. The trace of the furnace is approximately 240 centimeters in length, 170cm in width, and 80cm deep. 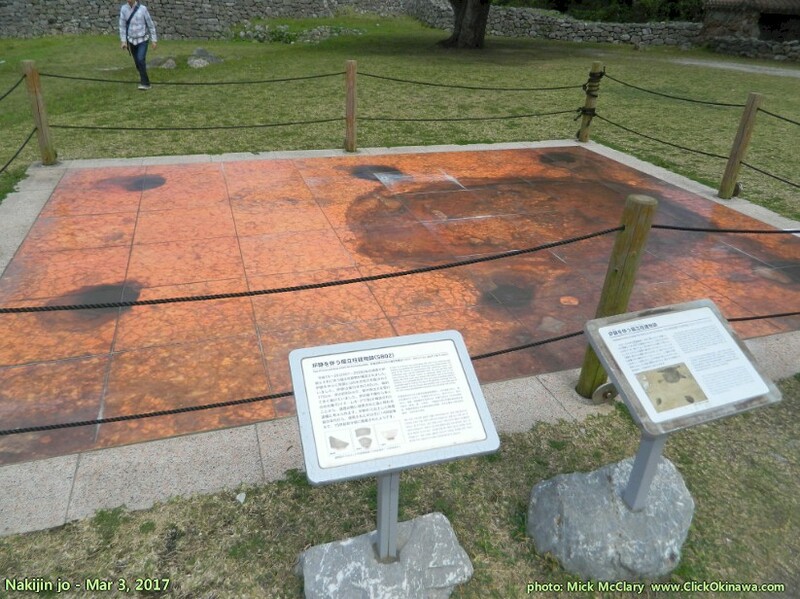 The wall and floor were burnt red by fire. A large number of carbonized seeds, such as rice, wheat and millet, were found in the bottom layer of the furnace. Therefore, it is considered that the ruins were used as facilities related to foodstuffs used for cooking. of the 14th Century and abolished around the first half of the 15th Century. 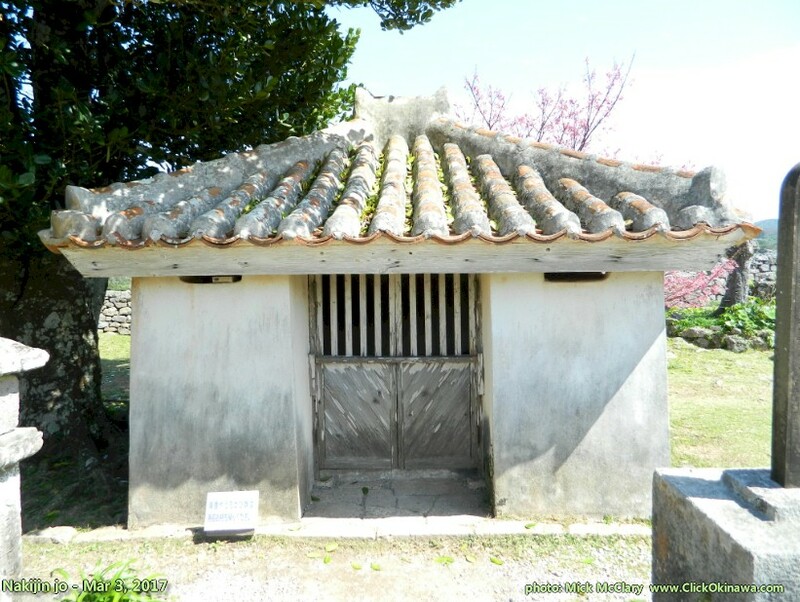 Because the name "Kouri" is pronounced "Fui" in the Okinawan dialect (Uchinaaguchi), this structure is called Fui Dunchi. 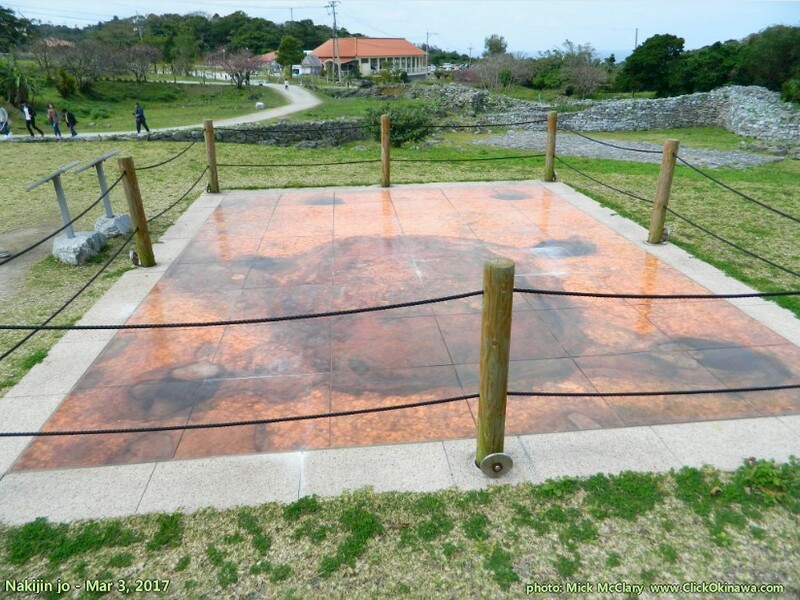 The small shrine faces northeast, in the direction of Kourijima (Kouri Island). August of the lunar calendar. Prayers are offered by the Noro Priestess of Nakijin during the religious events of Imadomari. 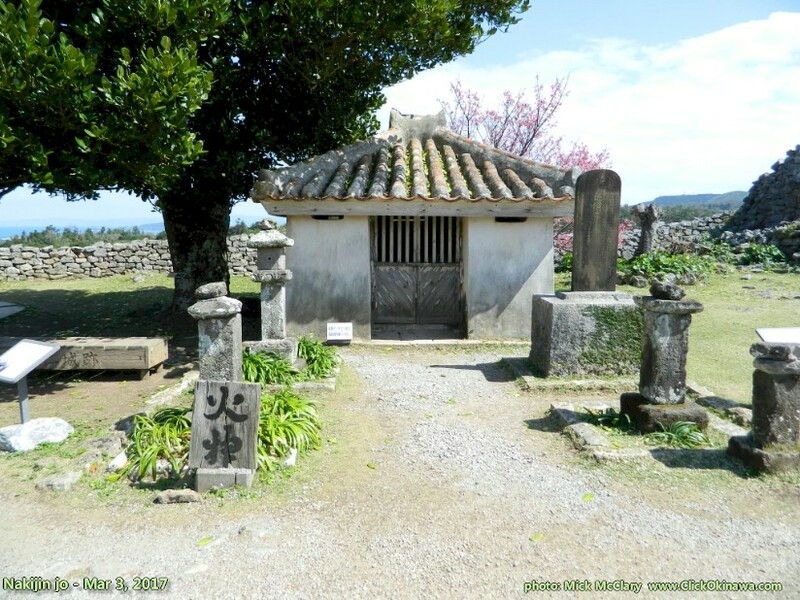 This structure was reconstructed based on old photos and relocated to this site in 2010.
of a family clan which is a patrilineal kin group of Okinawa. Nakijin Noro Priestess offers prayers to the Soitsugi, asking for rich and prosperous harvests and other blessings. it is revered as a sacred site of worship. 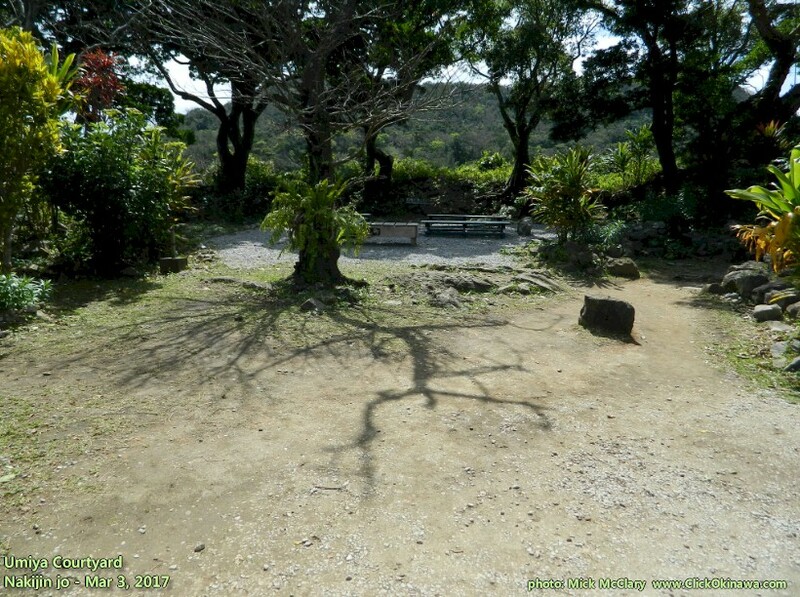 foundation can still be seen today at the Hokuden site. descendants, and the happiness of the world, known as Yagafu. 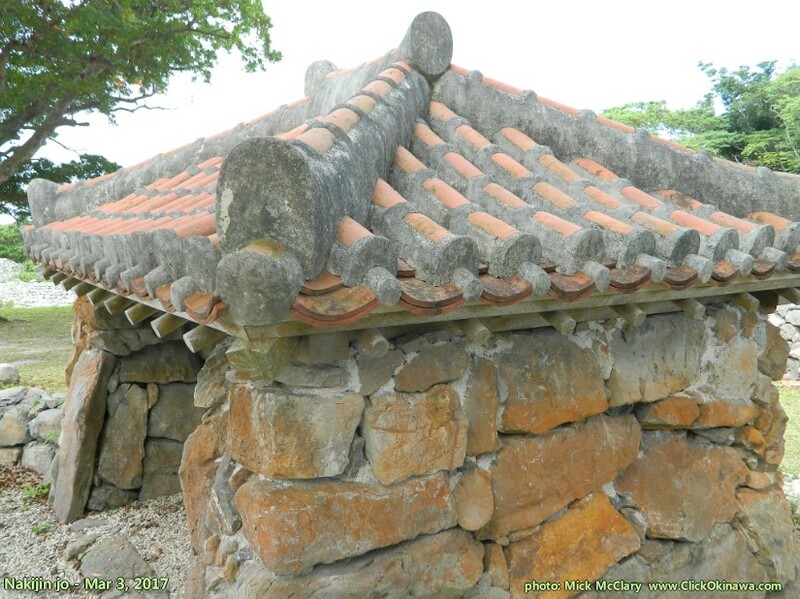 Nakijin Castle is a Ryukyuan gusuku located in Nakijin, Okinawa. It is currently in ruins. 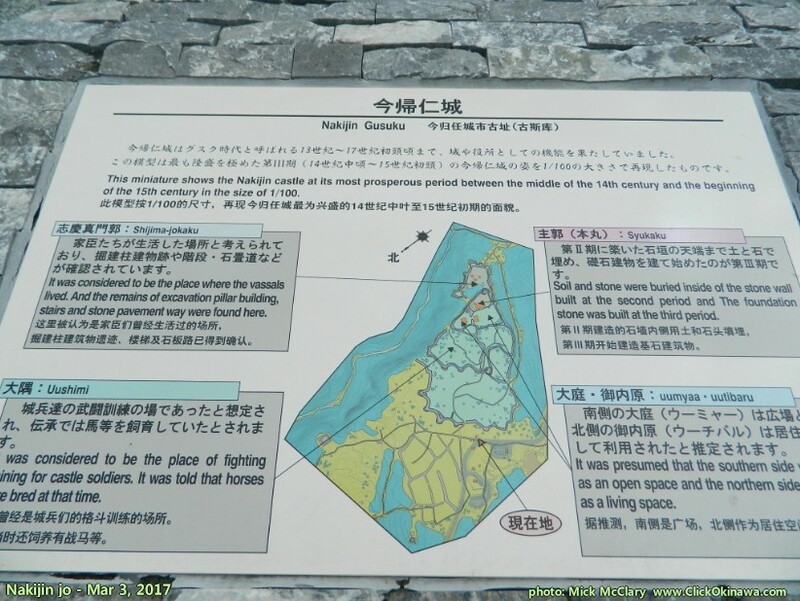 In the late 14th century, the island of Okinawa consisted of three principalities: Nanzan to the south, Chuzan in the central area, and Hokuzan in the north. Nakijin was the capital of Hokuzan. 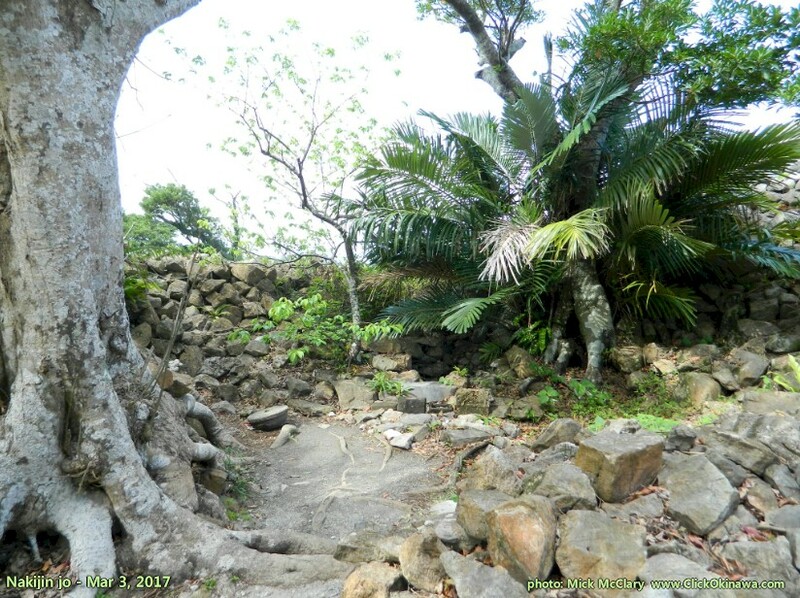 The fortress includes several sacred Utaki groves, reflecting the castle's role as a center of religious activity. It is today known for the Hikan cherries which bloom in northern Okinawa between mid-January and early February, providing the first cherry blossoms each year in Japan. The royal residence was located at the highest and innermost part of the complex and was surrounded by a small garden with a spring. Three shrines (uganju) stood at the highest point of the precipice. In less inner enclosures, located at somewhat lower elevations, were residences for certain vassals, along with administrative buildings, stables for the horses, and garrisons for the warriors of the principality. 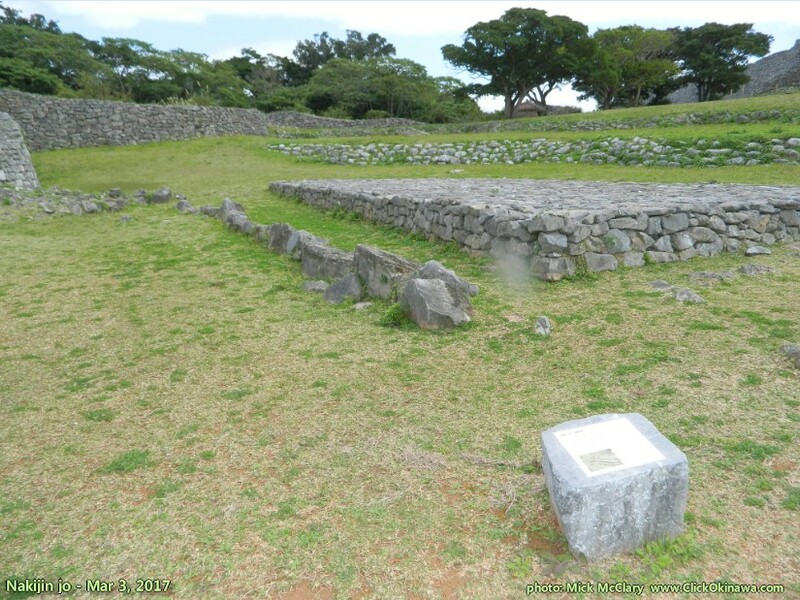 As was typical of gusuku construction at this time, the stonework of the walls was very solid, but quite rough, with a relative lack of precision fitting or fine cutting. Roughly 1500 meters of limestone castle wall remain today. The castle saw three generations of rulers before being attacked and destroyed by the armies of Chuzan in 1416. Lords of Hokuzan governing in subordination to the royal capital at Shuri would continue to make their residence here for several centuries afterwards. As a tourist site, the ruins are particularly known for the beautiful view out over the East China Sea, for the impressive grandeur of the castle walls, and for the overall amount of space taken up by the castle grounds. 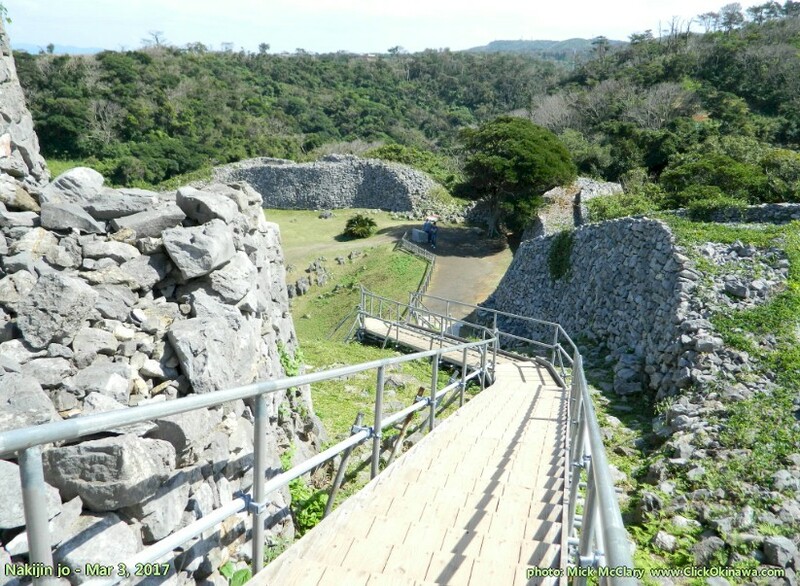 Hokuzan in general was characterized by wider spaces, or at least less dense settlement and population, than Nanzan and Chuzan, the other kingdoms on the island at that time. 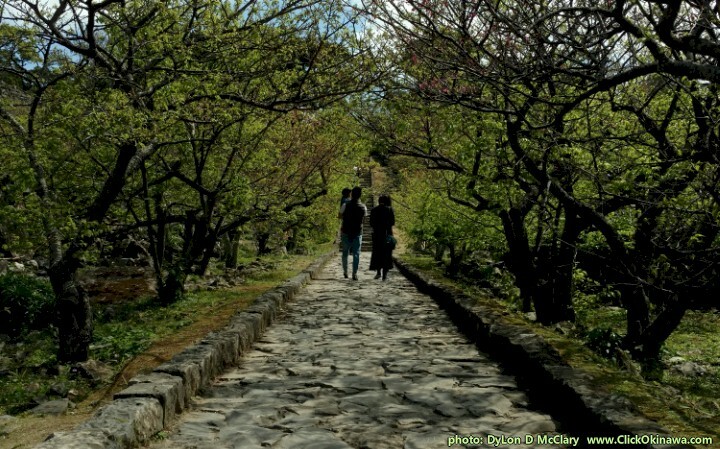 Nakijin is also consistently among the first places in the country to see, and celebrate, the blooming of the cherry blossoms (sakura) each year.